Stephanie has been in the customer service and learning and development industry for the past 20 years. Within the last 16 years she has traveled across the United States and Europe facilitating leadership training and delivering motivational speeches for many organizations. including; Major, Lindsey, Africa, Aerotek, Clark County Fire Department, Las Vegas Metropolitan Police Department, Wirtz Beverage, BlueGreen Group, MGM Resorts International, City of Las Vegas, Maui County DMV, US Army, Air National Guard, Los Angeles Police Department, NV Energy, Genesis (United Kingdom), Nacro (United Kingdom). Currently, Stephanie serves as the Executive Director of Diversity & Inclusion Programs for the MGM Resorts International, an entertainment company with 77,000 employees across the United States and overseas, she leads 13 CSR (Corporate Social Responsibility) Councils and 19 ENGs (Employee Network Groups), assist in the developing D&I strategies that impact recruitment, retention, guest experience, and employee experiences for the company. her years of management and leadership experience lends to her ability to speak on various topics. 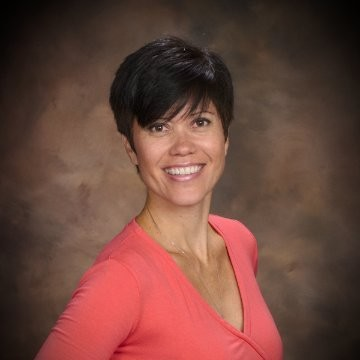 Stephanie has a Bachelor’s Degree in Business Management and is a certified trainer for Franklin Covey and a faculty member of University of Southern California at San Diego’s (UCSD) Business School of Management. She is also a graduate of Rapport Leadership’s Leader 1 Program and Power of Communication Program, a graduate of Mark Samuel’s Mastership for Transformation Leaders Program, attended Dr. Tony Herrera’s Course; Candor, How to have Courageous Conversation, was a keynote Speaker for Ohio National Guard’s Annual Leadership Conference, a keynote Speaker for the Professional Women’s Network Group and spoke about Thriving in the Workplace, a keynote Speaker for the Asian & Pacific Islander Network Group and spoke about Innovation and is certified in the UC San Diego Center for Executive Development The Strategic Leader Course. HR partners can facilitate identification of creative solutions that drive real value.